Participate Australia’s Cooking Skills classes teach participants the importance of eating balanced and portioned meals. Our Cooking Skills classes build on fine motor skills as well as teaching the basics of meal preparation while developing social skills. Participants will learn about healthy eating options and hopefully discover some new favourite foods! 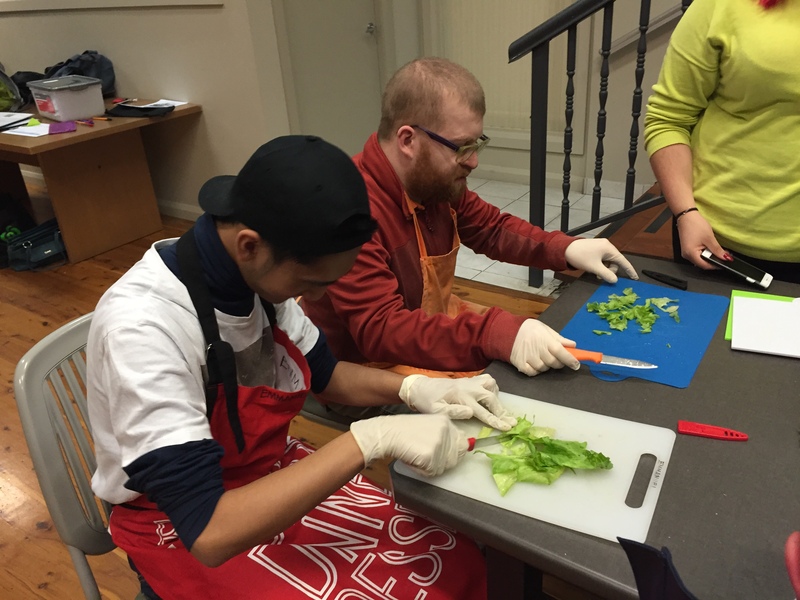 Our participants are involved in the entire cooking process, from preparing and cutting ingredients, to cooking the dish, and finally serving and eating what they have cooked! Participate Australia’s Cooking Skills classes are designed to teach and reinforce real world skills, that can be applied independently by the participant once they have completed the course. The classes are run throughout the year, and each course runs for approximately 8 weeks. Interested in finding out more about our Life Skills activities at Participate Australia? If you are currently a participant at Participate Australia, please contact your Support Facilitator. If you are not currently a participant at Participate Australia, please call our Coordinator, Intake on 0412 993 705 or email at enquiries@participateaustralia.com.au.